Apremilast (Otezla) has been approved by the U.S. Food and Drug Administration (FDA) to treat adults with active psoriatic arthritis since 2013. Pooled 182-week safety data from ESTEEM 1 and ESTEEM 2 trials in patients with moderate to severe plaque psoriasis, and pooled 3-year safety data from PALACE 1-3 trials of patients with active psoriatic arthritis were presented by researchers from ongoing clinical trials at the American Academy of Dermatology’s Annual Meeting. In the ESTEEM trials analysis, safety data was gathered from 1,184 patients treated with Apremilast 30mg twice daily for up to 182 weeks. The pooled data showed no increase in exposure-adjusted incidence rates (EAIR) of adverse events, serious adverse events or drug discontinuations. Rates of major cardiac events (0.4 for 52 weeks vs. 0.5 for 182 weeks), malignancies (1.6 vs. 1.2), depression (2.7 vs. 1.8) and attempted suicide (0.1 vs. 0.1) were similar across the Apremilast-exposure periods. Further, no serious opportunistic infections, reactivation of tuberculosis infection, completed suicide or clinically meaningful effects on laboratory measurements were reported. 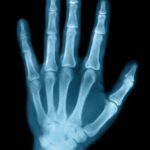 Safety data from the PALACE 1-3 trials (n=721) in patients with active psoriatric arthritis treated with Otezla 20mg or 30mg twice daily with concomitant disease-modifying anti-rheumatic drugs (DMARDs), including methotrexate for up to 156 weeks were comparable with the ESTEEM trial data. “Long-term use of apremilast in plaque psoriasis or psoriatic arthritis trials showed no new safety signals,” concluded Jeffrey Sobell, MD, Tufts University School of Medicine. Apremilast is an oral, selective phosphodiesterase 4 (PDE4) inhibitor currently approved for the treatment of active psoriatric arthritis and moderate-to-severe plaque psoriasis in adults who are candidates for phototherapy or systemic therapy. It is available as 10mg, 20mg, and 30mg strength tablets. Papp K, Chen R, Day R, et al. Safety and Tolerability of Apremilast Up to 182 Weeks: Pooled Analyses From Phase 3 Clinical Trials. Abstract 2347, American Academy of Dermatology 2016 annual conference March 7, 2016. Washington, DC.